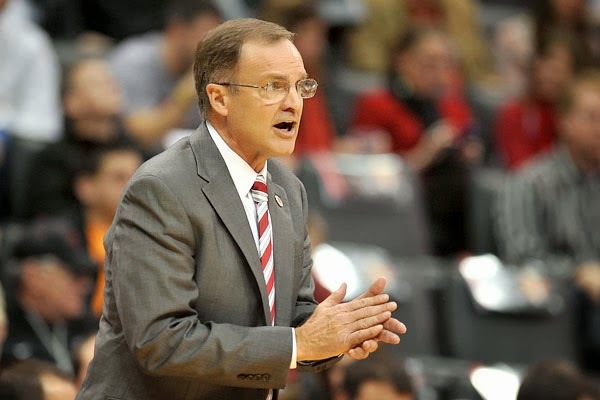 Oklahoma head men’s basketball coach Lon Kruger announced Wednesday the signing of forward Brady Manek and center Hannes Polla (HAHNIS POLE-uh) to national letters of intent on the first day of the 2016-17 early signing period. The pair of future Sooners are expected to join the OU program as freshmen next season. The Sooners add an Oklahoman in Harrah’s Manek. Ranked as a four-star recruit by ESPN and Scout.com, Manek averaged 18.9 points, 9.7 rebounds, 3.4 assists, 1.5 steals and 1.8 blocks per game in 2015-16. The Oklahoman named him its Little All-City Player of the Year and listed him on its All-State Second Team. Manek was also selected to the Tulsa World All-State Third Team. A talented shooter, Manek is listed as both a top-15 (Scout.com) and top-30 (ESPN.com) power forward in the 2017 class. Hailing from the Helsinki Basketball Academy in Finland, Polla will bring size and a strong post game across the pond. At 6-11, Polla will be the second-tallest player on a Sooner roster during the Kruger era and just the second European player (Amath M’Baye from France) to play for Kruger at OU. Polla brings plenty of international experience to Norman, having competed for both the U16 and U18 Finnish National Teams. During the 2016 U18 Nordic Championship, he averaged 7.6 points and 8.2 rebounds per contest. Through seven games this season with HBA, Polla is averaging 9.3 points, 8.6 rebounds, 1.1 assists and 1.7 blocks in 22.6 minutes. Polla’s assistant coach at HBA, Hanno Möttölä, played two seasons in the NBA under Kruger with the Atlanta Hawks.